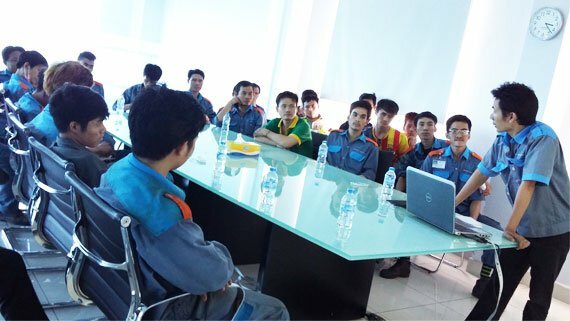 After the working safety training course for welded mesh factory, QH Plus Industrial Joint stock company organized a training course about quality of products and safety in producing process for steel fabrication factory in May 14, 2016. The training course not only provides useful knowledge but it is a discussion time for sharing difficulties and issues in producing process. Many welding-related errors will be solved after the course. With aim to push up steel fabrication industry, QH Plus continues improving production capacity and quality. This training course is basic foundation to enhance prestige and reputation of QH Plus and meet stringent requirements of customers.